Visions is a stunning new product from Louvolite which we manufacture in our factory. It is a form of roller blind with two layers of material front and back. The material itself has a solid and translucent panel. Since the material is looped back on itself (hence the two layers), you can position the blind into any position, either OPEN or CLOSED. 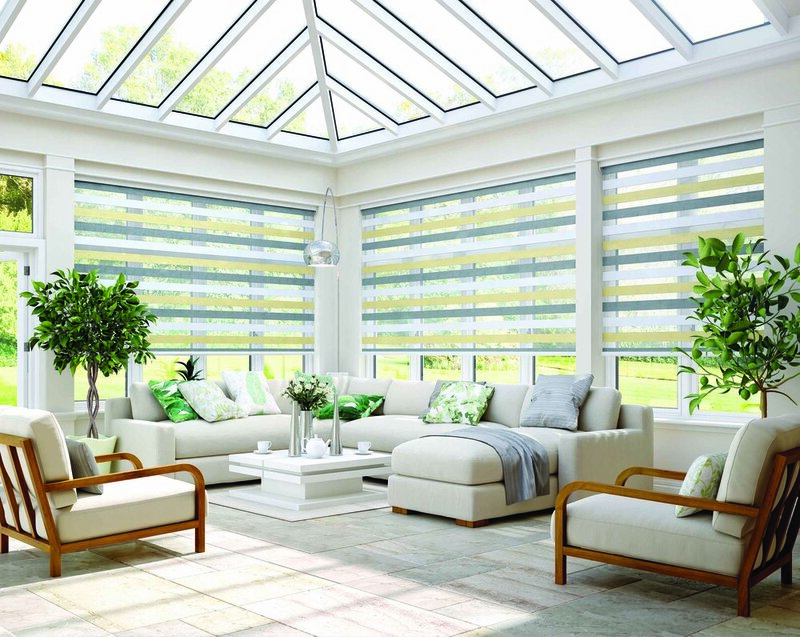 Think of it as a hybrid between a blind which simply pulls up or down (just like a traditional roller blind) crossed with a blind that filters and controls the light, such as metal or hardwood Venetian blind. View the short video below to see how the blinds work. Check our YouTube channel for other Visions related videos. All Visions blinds are housed in a cassette box, which are available in various colours.